Former VW CEO Martin Winterkorn has said he is "not aware of any wrongdoing" on his part in the diesel emissions scandal. BERLIN -- Former Volkswagen Group CEO Martin Winterkorn will appear next week before a German parliamentary committee tasked with looking into whether the government had any role in the automaker's diesel emissions scandal. Winterkorn ran the multibrand VW Group for almost nine years before he resigned days after manipulations emerged in September 2015. He will attend a meeting of the Bundestag's committee of inquiry on Jan. 19, lawmaker Herbert Behrens, head of the panel, told Reuters. It will be Winterkorn's first public appearance before a larger audience since his resignation almost 16 months ago. 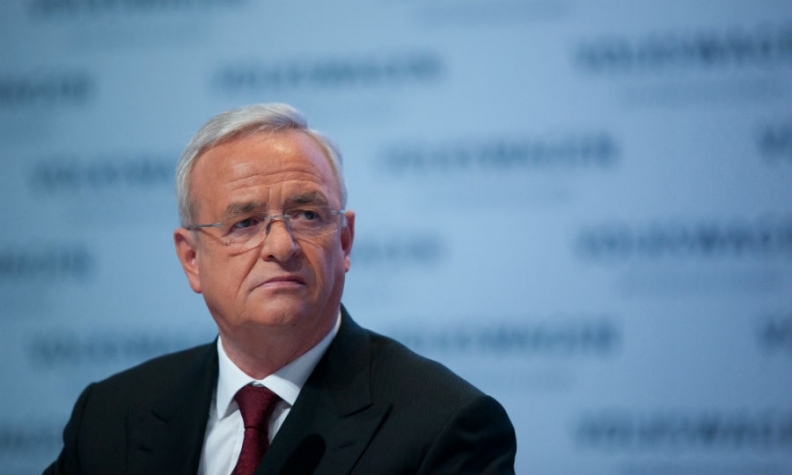 German business daily Handelsblatt reported Winterkorn's plans earlier on Wednesday. The cross-party committee of inquiry was set up last April to clarify whether the German federal government and regulators were involved in VW's manipulation or failed to contribute towards its disclosure. VW plans to plead guilty to criminal misconduct as part of a $4.3 billion settlement with the U.S. Department of Justice and regulators.